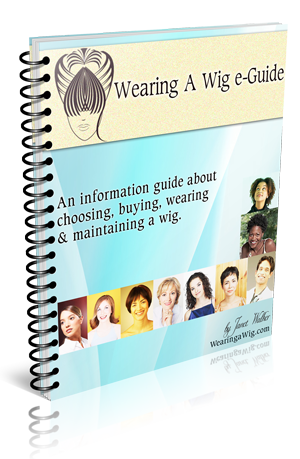 Placing a wig cap over your hair before you put on your wig is a common method used by many. After having secured your own hair in place, you may decide to wear one. One possibility of have wearing a wig cap could be because your hair is long and you feel it may become loose. Having a wig cap on underneath your wig will help you feel more secure and will help keep your hair in place. Another reason you may decide to wear a wig cap is because you want to use pins to help keep your wig in place. Having a wig cap on will not really help when it comes to pinning in place your wig, if anything it may make your pinning job harder. This is because with a wig cap you are effectively creating 3 layers to push the hair pin through 1, your wig, 2 the wig cap and 3 your hair and wig caps are not really made to have pins pushed through it, even though some are made of thin material. You can push hair pins through your wig and straight into your hair and that will work fine. Remember that many wigs do have adjustment straps inside so you may not need to use pins. However it’s all about how you feel and if having hair pins in, makes you feel more conformable then go with that. et, ipsum commodo efficitur. ultricies quis, mattis libero.